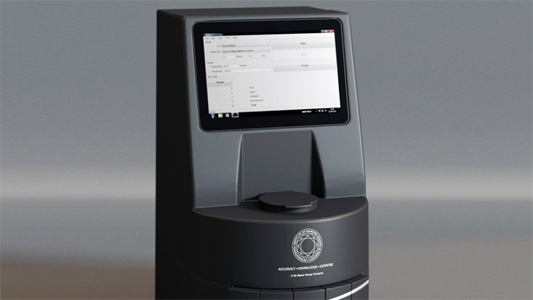 The International Institute of Diamond Grading & Research (IIDGR), part of The De Beers Group of Companies, today unveiled its next generation automated melee screening instrument. The AMS2 will provide diamantaires with a more efficient and cost-effective diamond verification technology solution for melee-sized diamonds. Around 10-times faster than its predecessor and with a substantially reduced referral rate, the AMS2 has the ability to process smaller sizes and all shapes of polished diamonds. It will cost US$45,000, cheaper than the first generation AMS. Available from June 2017, the new device will be unveiled at this week’s International Diamond, Gem & Pearl Show in Hong Kong. The AMS2 was developed by De Beers’ in-house research and development team, which also created the broader suite of diamond verification technology sold by IIDGR, including DiamondView™, DiamondSure™ and PhosView™. Jonathan Kendall, President of IIDGR, said: “The AMS2 is the most technologically-advanced, efficient and cost-effective melee diamond verification instrument available. Its industry-leading low referral rate has significant economic benefits to users, greatly reducing the need for additional and costly secondary testing. Early expressions of interest can be registered with IIDGR at kate.rigby@iidgr.com. For further information, please visit the IIDGR stand at the Show. More information on IIDGR and its full range of services can be found at www.iidgr.com.